We observe the cynical merchants of war playing with matches and increasing the hatred and extremism and we stand still. Ladies and gentlemen, we no longer can afford ourselves to be passive, to watch the old politics of narrow interests risk our lives and the lives of our children. The outstanding example of women of Liberia who united against the war has to be in front of our eyes. It was once Margaret Thatcher who said - if you want a speech said - ask a man, if you want something done - ask a woman. So it's about time that women's intelligence, empathy and energy be channeled into real action against extremism and fundamentalism. We can drive the devil back to hell - mention to the movie about the struggle of the women of Liberia - we just need to be keen and united on that. 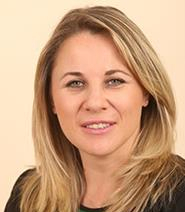 MK Svetlova is an Israeli journalist and Parliament member. She belongs to the Zionist Union party and is a member of the Foreign Affairs and Defence Committee. As a journalist and commentator on Arab affairs, she has written for the Jerusalem Post, the Jerusalem Report, Haaretz and the BBC Russian Service, among others. She has interviewed Yasser Arafat, Ahmed Yassin and Mahmoud Abbas, covered the War in Iraq from a U.S. battleship in the Persian Gulf and published exclusive articles from Tahrir Square during the Egyptian Revolution. She is a PhD student and holds a BA and MA in Islamic Studies and the Middle East from the Hebrew University in Jerusalem.